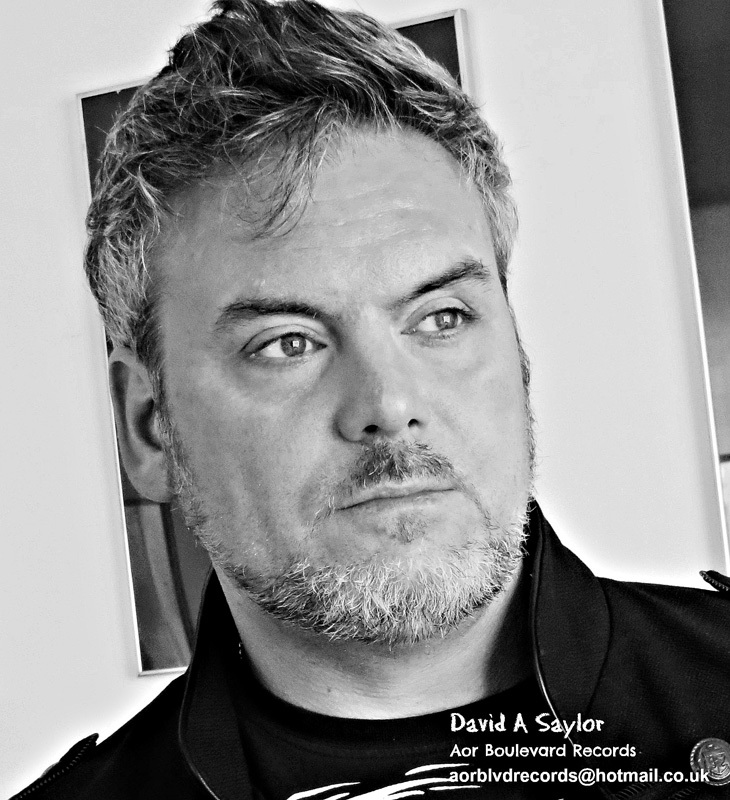 If you're not acquainted with vocalist, songwriter, and producer David A Saylor, I'm not surprised, especially if you're an American. In the Eighties, Saylor moved to the UK, and has been on the move ever since as a journey man musician around Europe. Mostly recently, he's the front man for obscure Greek AOR band Wild Rose. Perhaps you've heard of them, perhaps not. 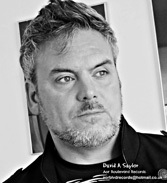 David A Saylor: look this way. In recent times, he's been working on his solo career, releasing an EP Kiss of Judas last year, and now his full-length debut Strength of One. It's standard AOR melodic rock fare straight from the Eighties, with no apologies. The three main features of the album are Saylor's melodic, slightly raspy, vocals, his significant songwriting skills, and the guitar work of guests David Mark Pearce, Brett Hammond, and Nik Lloyd, all of whom I know little about. But they all offer some terrific leads. To say this is standard AOR fare, could be a bit reductionist. Yet there's an odd familiarity to the sound of most every song like you heard them before elsewhere, maybe from an FM album. There's some harder rockers Beaten Black & Blue, Caught in the Middle, and the rather dull Welcome to the Show. Most others like My Heart Ain't Feeling Nothing or Flying High sway between rock edge and west coast smooth. There's a fair share ballads with Now You're Leaving, Don't Say Goodbye, Why Does Our Love Have to End, and Falling Star, all quite adequate. Ultimately, for the fan of this enduring genre, Strength of One may be a case where your AOR credulity could swing between 'this is great stuff' or 'been there done that'. What I don't get is why only 1,000 copies are being pressed? Seems like a dumb idea. I suppose the label is expecting more digital downloads than sells of physical CDs? Maybe they'll limit that to a mere 1,000 downloads as well. For the fan of this enduring genre, Strength of One may be a case where your AOR melodic rock credulity could swing between 'this is great stuff' or 'been there done that'.